PES 2012 update out this Thursday! 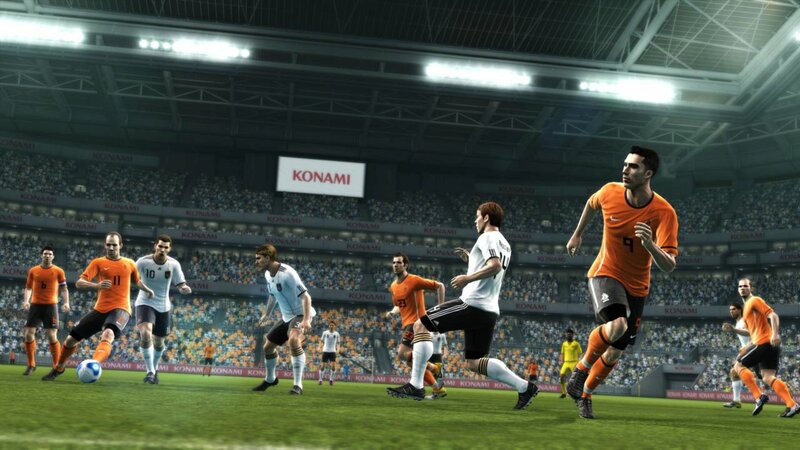 Konami have revealed that a patch for PES 2012 will be made available on PS3, 360 and PC this Thursday. The patch will be free of charge, and will add myPES and 3D support, while also implementing multiple AI improvements - with goalkeepers being the main focus. For those who have already got their copy of PES 2012, you will have to download this patch, before you start playing online matches. Konami Digital Entertainment GmbH will release the eagerly-awaited PES 2012 for PlayStation(R)3, Xbox 360(R) and Windows PC this coming Thursday, 29th September. As football fans flock to experience the most realistic football title to date, KONAMI has announced that new users can add a number of key elements to the game via a free download. The myPES system will be available in an initial Beta form, allowing users to create an account and exchange data with Facebook to share results and post them to other users. The full service which will incorporate various statistics, achievements as well as the ability to create private and public game groups will then launch in October. KONAMI has also made a few tweaks to the Active AI element, with goalkeepers the main beneficiaries with their AI enhanced even further. PS3 users will also benefit from 3D support, with the download adding 3D functionality to those with 3D TVs.